If you are searching for a trendy and high-quality design for your site, then photo portfolio website web theme is the right pick. This beautiful theme has been created with freelance photographer portfolio or fashion photographer in mind. 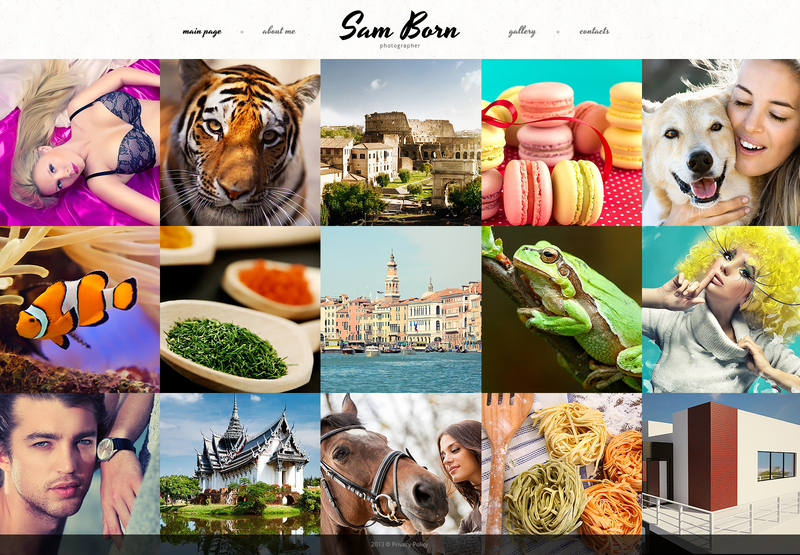 Be sure that you'll reach your potential customers on all devices, because this photography portfolio website template is responsive and it fits any display sizes. A polite customer support squad is available 24/7 at no cost. Make full use of this web layout to compel customers that it can enrich their online business and assist them to progress in the right direction.